Creed Street was named after Richard Creed was the secretary for the company, at first jointly with Captain Moorsom of Birmingham and after Moorsom’s resignation, the sole office holder. The salary registers record that he was paid £1,500 for his work in the 840s – an enormous salary in those days and half as much again as that paid to James McConnell, the Wolverton Works Superintendent. Creed, along with Glyn and Ledsam were powerful figures in the establishment of the London and Birmingham Railway and its expansion into the London and North Western Railway. It is surprisingly hard to find out much about Creed’s background, considering that he was such a prominent figure in his day. He is not in the Dictionary of National Biography, and although his name crops up frequently in articles and Times correspondence, these mentions touch exclusively on his railway business. Like his more eminent associate, George Carr Glyn, he was a banker. In those days this meant a connection with a well-to-do family, although I have not been able to discover his origins. One story I did discover was that in his young days he was a partner in the firm of Fauntleroy and Company. The principal, Henry Fauntleroy, was found guilty of forgery at the Old Bailey and sentenced to death! There was no suggestion that Creed was implicated. From the summary of the trial it appears that quite a number of people lost money through Fauntleroy’s misappropriation and I expect that many in those times might have felt that the death penalty was a proper punishment. However, Henry Fauntleroy was the last man to be executed for this particular crime and subsequent generations of bankers were able to carry on their business without fear of their life. Here is the DNB description of Faunteroy’s life. Fauntleroy, Henry (1784–1824), banker and forger, was born on 12 October 1784, probably in London, the third but eldest surviving son (of five sons and two daughters) of William Fauntleroy (1749–1807), and his wife, Elizabeth (1758–1826), daughter of Revel Kerie, planter, of St Kitts, West Indies. His father, who had originally been a wine merchant and a clerk in Barclays Bank, in 1792 became a partner in the banking house of Marsh, Sibbald & Co., of Berners Street, Marylebone, Middlesex. Young Fauntleroy had a strict nonconformist upbringing and was set to work as a clerk in the house in 1800. He joined the partnership on his father’s death. At that time, the other partners were Sir James Sibbald, an elderly baronet; Sibbald’s niece’s husband, Josias Stracey (afterwards fourth baronet), a country gentleman; and William Marsh, a victualler and naval agent. Fauntleroy was a grave and earnest young man who inspired confidence. The bank had comparatively slender resources, which were strained by its advances to contractors for building speculations (chiefly in Marylebone). Fauntleroy, however, was adept at juggling the figures. In 1809 he was obliged to marry Susannah Marianne, daughter of John Young, captain in the Royal Navy and landowner on St Kitts; a son and namesake was born in October, but the Fauntleroys always lived separately. After this matrimonial mishap Fauntleroy plunged into a series of expensive amours. His mistress Mary Bertram, alias Kent (known as Mrs Bang), was superseded about 1819 by Maria Forbes, whom Fauntleroy reportedly seduced when she was a boarding-school pupil. They were sincerely devoted; he established her in a cottage at South Lambeth, and fathered two daughters (1821, 1823). Fauntleroy’s ancestors included the third baron Stourton and other medieval lords. His genealogical vanity was fed by his amity with Mrs Cathrow-Disney, wife of the complaisant and mercenary Somerset herald. It was a foible of Fauntleroy’s that his massive brow and strong chin resembled those of Napoleon Bonaparte, whose bust adorned his mantelshelf. When in 1821 he bought a sumptuous Grecian villa at Brighton he erected a billiard room in the form of Napoleon’s travelling tent. He fancied himself, too, as bold and decisive as his hero. Marsh, Sibbald had to pay over £100,000 to cover losses on advances to speculative builders in 1814–16 (additional to a similar loss of £60,000 in 1810). The Bank of England was so alarmed that in 1815 it refused Marsh, Sibbald’s acceptances at a time when Fauntleroy’s personal commitments to house-development on Lord Portman’s Marylebone estate were acute (in 1824 he still owned a mews and six houses in Bryanston Square). Rather than submit to a disastrous bankruptcy, he maintained his tottering firm by appropriating trust moneys and securities deposited by bank customers. By forging powers of attorney, Fauntleroy was able to sell consols, annuities, navy loans and other government stock to support the credit of the house. Dividends were duly paid to the rightful proprietors, and the transactions were entered in the books as if perfectly in order. Fauntleroy acted without the knowledge of his partners. He used forgery to cover forgery until eventually securities worth about £360,000 had been appropriated. He lived in terrible suspense, daily expecting his crimes to be discovered, and needed constant change and excitement as an anodyne for his despair. The firm was further strained when Sibbald’s death (1819) obliged his surviving partners to pay large sums; a new partner, an army officer named Graham (afterwards Foster-Pigott, MP for Kinross-shire), was easy to mislead. Fauntleroy was arrested on 11 September 1824 on a warrant obtained on the deposition of two trustees of annuities who had entrusted stock to him; although dividends had continued to be paid regularly, they had discovered at the Bank of England that the stock had been sold in 1820 under a power of attorney in which Fauntleroy had forged the trustees’ signatures. Other forgeries were swiftly identified. After the police-court examination (18 September) Joseph Wilfred Perkins, a vindictive nabob, who had been sheriff of London (1819–20) and had shared Mrs Bang’s favours, began vilifying his former boon-companion Fauntleroy in a violent press agitation in the Morning Postand The Times. Some accusations of Fauntleroy’s depravity (such as in The Times, 24 Sept 1824) are malicious and exaggerated; but they increased the enormity of the journalistic storm raised by his huge frauds. At his trial at the Old Bailey (30 October) Fauntleroy admitted his guilt. The evidence, in his own handwriting, was indeed unanswerable. Neither his insistence that every penny raised by his forgeries had been placed to the credit of his bank nor his denial of voluptuous living is credible. In a futile and emotional interlude he called seventeen merchants and bankers who testified to his integrity. After sentence of death was pronounced (2 November) there were strenuous efforts to save him. His case was twice argued before judges on points of law, and petitions were presented to the home secretary, Robert Peel. Finally he was hanged on 30 November 1824 outside Newgate prison before a crowd which was estimated to number 100,000, and buried in the family vault at Bunhill Fields on 2 December. 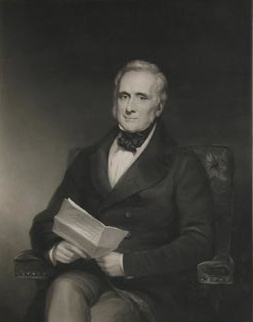 Fauntleroy’s embezzlement was the most notorious of many frauds which revealed the instability of the British banking system in the early 1820s. These crimes, together with the high level of bank failures, led to reforms imposed in the Banking Act of 1826. Fauntleroy figures as the villain Richard Crawford in Edward Bulwer-Lytton’s novel The Disowned (1828) and as Philip Ramsey in G. W. M. Reynolds’s Mystery of the Court of London (1849–60).